These children are waiting for a family to be their family. If you would like more information about one of these children, or about becoming a foster parent with Boulder County, register online to attend an Orientation, or use the same registration form to submit a question. 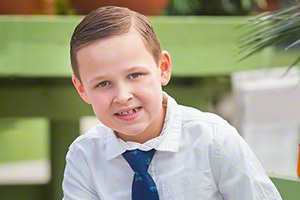 This hard-working second grader has a strong drive to succeed and would do best in a home where he can be the only child. The parent (s) for Ryan must have a secure attachment, previous parenting experience, knowledge about attachment and trauma, confidence, a large support system and the space and time in their life to prioritize his needs. Ryan will be matched with a family who is committed to keeping structure in his life with after school activities as well as with the services he will need to continue receiving. His caseworker will consider all family types. He will need to maintain contact with his siblings and grandmother following placement. Financial assistance may be available for adoption-related services. Colorado families are preferred. Meet the extraordinary Sebastian! This caring guy delights in putting others before himself and greatly values his friendships. When not hanging out with his friends, you might find Sebastian with a book in his hands. Video games and writing also grabs his attention. For meal times, Sebastian would be happy with everything from PB and J’s to your favorite Italian joint. This great kid develops positive relationships with both adults and peers. This ninth grader does well in school. A family with pets is preferred; however, his caseworker will consider all family types for placement. 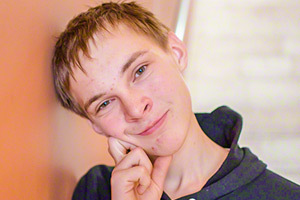 Sebastian has a significant relationship that he would like to maintain following placement. Financial assistance may be available for adoption-related services. Being center stage is everything to Kate Lynn! 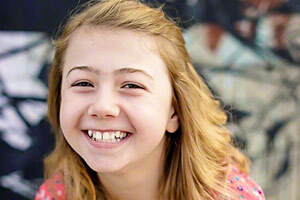 This charming child has a flair for the dramatic and dreams of her time in the spotlight as a famous actress. Singing, acting, and listening to music are just a few of Kate Lynn’s best-loved activities. Also a fashionista, Kate Lynn appreciates dressing to impress. Pink is her preferred color, and she enjoys dining on Chinese food and nachos. This outgoing ninth grader is academically on target. Kate Lynn’s caseworker will consider all family types for placement. Financial assistance may be available for adoption-related services. For Colorado children, both home studied and non-home studied Colorado families are encouraged to inquire; only home studied families from other states should do so.